Michele Sacks Lowenstein is a Certified Family Law Specialist (1) in San Diego. 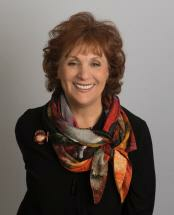 Michele has been a practicing family law attorney for over 30 years. In 2005, 2006, 2008, 2009, 2011 and 2012 Michele was named one of the top attorneys in San Diego County by the San Diego Daily Transcript. Michele has been selected as a Super Lawyer in 2007, 2008, 2009, 2010, 2011, 2012, 2013, 2014 and 2015. San Diego Magazine recognizes Michele Sacks Lowenstein as a Top Lawyer in their highly exclusive list of Top Lawyers for 2013. Michele has served 3 terms as Chairperson of the Family Law Section for the San Diego County Bar Association and served as a member of the Lawyer Referraland Information Services Committee of the San Diego County Bar Association for three years. Since approximately 1992 Michele has served as a Settlement Conference Judge and Judge Pro Tem for the San Diego County Family Law court and Small Claims Court. Martindale-Hubbell recognizes Michele Sacks Lowenstein as an AV® (2) rated attorney, the highest such rating available to any individual lawyer. Michele has lectured on the topic of family law to attorneys and other professionals. She has had extensive experience practicing before the Superior Court as well as the Court of Appeal; representing parties in eight published decisions. For the last 19 years Michele has been a lecturer at "Second Saturday - What Women Need to Know About Divorce.(http://www.wife.org/secondsaturday.htm). She has also been interviewed by U.S. News and World Report, the San Diego Union Tribune and appeared on television and radio to discuss issues related to divorce. Michele has been named a Super Lawyer consecutively since 2007 as well as named a “Top Attorney” by the San Diego Daily Transcript in 2005, 2006, 2009, 2011 and 2012. Michele has been recognized as a TOP Lawyer by San Diego Magazine. As part of her involvement with the Family Law Section, Michele was on a committee which drafted legislation to require parents to support their children beyond age 18 if the child is still enrolled in high school. That legislation became effective in 1985. Michele has been appointed at various times to represent children in juvenile, probate and family law matters at both the trial and appellate level. Michele participated in the San Diego Certified Family Law Specialists subcommittee which drafted the San Diego Local Rules for the appointment of counsel for minors. Michele has been trained in Collaborative Divorce and is excited to bring this new method of divorce resolution to her clients. She was trained by Stu Webb, the attorney who created Collaborative Divorce and is a member of the International Academy of Collaborative Professionals and the Collaborative Family Law Group of San Diego. Michele has taken the 40 hour mediation training offered by the Northern California Mediation Center. When not looking for creative solutions to problems, Michele enjoys traveling with her husband, working out, going to the theatre, cooking and collecting antiques as well as the companionship of her cats; Mattie who has 3 legs and the irrepressible Max. (2) The Martindale-Hubbell Peer Review Icon is a service mark of Reed Elsevier Properties Inc., used under permission from Reed Elsevier Properties Inc. in accord with the terms and conditions established by Martindale-Hubbell.